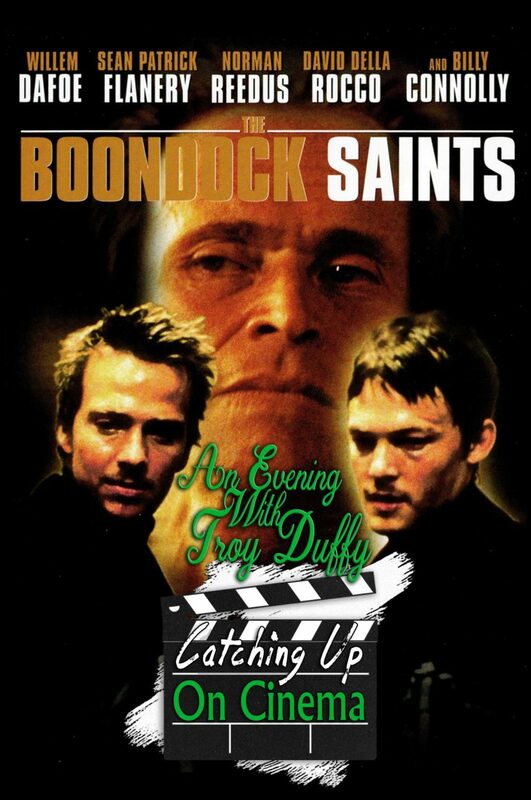 Kyle and Trevor’s Irish themed month of Catching Up On Cinema continues with Troy Duffy’s The Boondock Saints (1999)! The first out of only 2 films in the filmography of bartender/bouncer/musician/screenwriter/director Troy Duffy, the film is regarded as somewhat of a cult hit, as well as mini-miracle given the character and (limited) capabilities of it’s director. Rampant glorification of violence and extremist ideologies! Ron Jeremy’s stunt double being shot through a 2-way mirror!